In a frying pan or paella pan, lightly sauté the shrimp in olive oil. Remove them after a few minutes and set aside. In the same oil, add paprika, grated tomato, carrot, bell pepper and garlic, sauté for a few minutes. Add brown rice. Stir with a wooden spoon and add the vegetable broth. Add salt to taste. Add shrimp once the liquid has been absorbed. Cover with a clean kitchen rag so the rice can finish cooking. Serve immediately and garnish with chopped parsley. Soak brown rice overnight to speed up the cooking process. 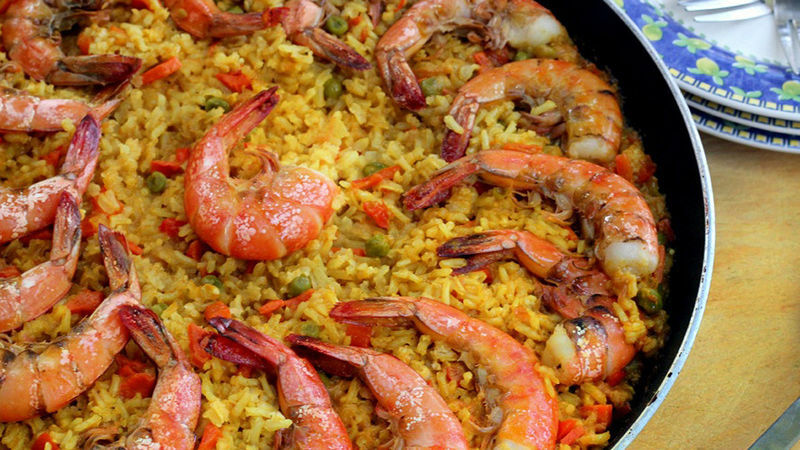 If you like paella as much as I do, but you’re afraid you’ll ruin your diet, this recipe made with brown rice will be perfect for you. Simply use brown rice instead of white rice: leave it soaking overnight and you’ll cut down on its cooking time. Discard the soaking water and cook the rice as you normally wood. To save even more time, use Progresso™ vegetable broth. It adds a delicious flavor to this recipe. What other ingredient would you add?